Everyone has their own unique learning style. Some learn better by reading, others by watching and through practice and still others can retain information better if they hear it from teachers. As a business owner, you are responsible for the education of numerous employees. You can’t use a one-size-fits-all approach for training every member of your team. While many experts will argue the details of what constitutes blended learning, at it’s simplest definition it is a combination of classroom and online training. Much like a student who does some classwork and some online classes, a business can provide blended learning for new and seasoned employees. What this looks like will vary from company to company. Certain topics will lend themselves to online courses while others are best completed in a physical location with an instructor. For other companies, they may offer both types of learning for certain subjects to appeal to a wider range of employees. With blended learning, at least part of the training is led by the employee. For instance, you can incorporate online courses which the employee can study from work or from home at any convenient time. These courses may or may not have a deadline or evaluation. Some may require only that the employee has completed reading the information. The departments in charge of training will need to review the best options for training in certain areas. They will need to create the training information and to determine how to analyze understanding and retention of the information. Many businesses use learning management systems or LMS for online training. However, it can also be beneficial with blended learning. Many of these systems allow you to set up schedules for in-person training and either have people sign up or allot them a time to attend. 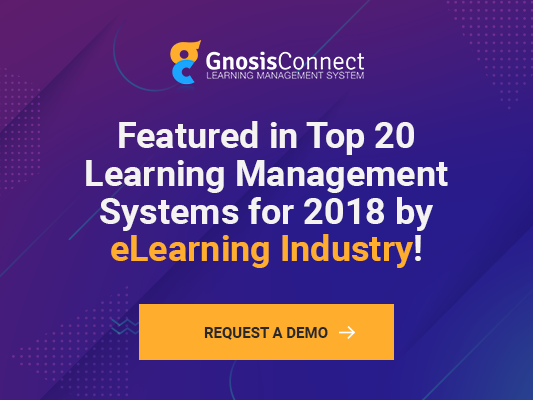 One of the most complicated aspects for a business that utilizes the blended learning approach is keeping track of what each employee has completed in their training or continuing education. An LMS can record all coursework and attendance so you can create a report and review. For a company with hundreds of employees, an LMS simplifies tracking. It’s easy to see at a glance how much training every employee has had and who has attended what training courses. If the training has required deadlines, you can see who is getting close to their deadlines and who has fallen behind. This becomes even more essential in industries which require so many continuing education credits for recertification or re-licensing. For example, a physical therapy clinic may have 10 to 20 therapists on staff, all who need a certain number of continuing education credits each year to maintain their license. Many times, they will use a combination of in-person seminars and online training. With an LMS, you can check to see how close they are to reaching their requirement as the deadline approaches. For heavily regulated industries like health care, finance and insurance, an LMS can make it easier for HR or department managers to stay on top of the training requirements for staff. Blended learning can enhance the training experience for the employee. With an LMS, it makes organizing the training much easier and tracking more effective.